Full-time students attend workshops on three days per week from October to May. The modules are delivered intensively over consecutive days in the so-called 'block format', which means that each module has 6 days of teaching split into two blocks of 3 days. Teaching methods include group work, case studies, presentations, and live projects. The course is delivered through a variety of approaches including lectures, presentations, tutorials and case studies, with an emphasis on interactive learning. Each module is taught by two lecturers, one from the University of Brighton and one from Wittenborg University. The full course is taught in Apeldoorn.. Depending on the module this could include a combination of university-based teaching, online seminars, tutorial support and webinars. The Professional Enquiry module is a combination of teaching and online tutorials which will support you during an organisational experience or project. Some optional modules will be delivered entirely online and others will be all classroom based. In the first semester of this module, you plan your future career as you reflect on your personal, academic and professional skills and consider opportunities for development. In the second semester, you take a professional work placement with a sport-related organisations. 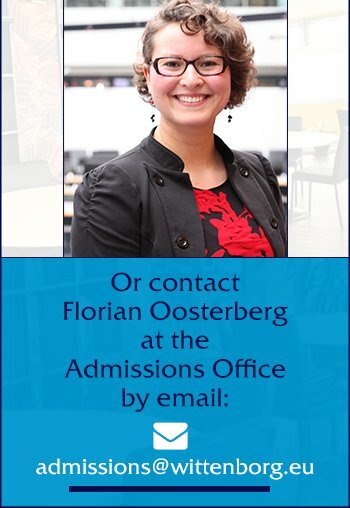 All non-Eu graduates from Wittenborg University are automatically given the opportunity to register as a 'search year graduate' and spend a year working in the Netherlands (during the so-called 'Search Year' or 'Orientation Year') after you complete their studies. During this year, you can search for employment, to qualify as a knowledge migrant, defined by immigration as: 'Highly skilled migrant after orientation year for highly educated persons, or subsequent to graduation in the Netherlands or abroad, or after having worked as a scientific researcher that is paid €2.228 per month' . The entry requirements listed here are our typical offer for this course if you wish to begin studying with us in 2016. They should be used as a general guide. An extended masters route (MSc Combi Package) is available for the Eastbourne campus-based programme for applicants who do not meet the language requirements above. The following partners are sports clubs, guest lecturers, sports associations, sports facility providers, and also sport business organizations. Students will have first-hand sport experience provided by these partners through project weeks, internship, graduation assignment, etc. For all sport lovers, FSG Campus is the place to stay, where sports facilities are provided in a sport-friendly living environment. Popular sports in the region of Apeldoorn are: football, volleyball, swimming, basketball, tennis, golf, equestrian sports, track & field, cycling, field hockey, futsal, badminton, table tennis, judo, and wakeboarding. Wittenborg will assist students in finding suitable local sports clubs to join. Annual membership fees vary per sport and club.